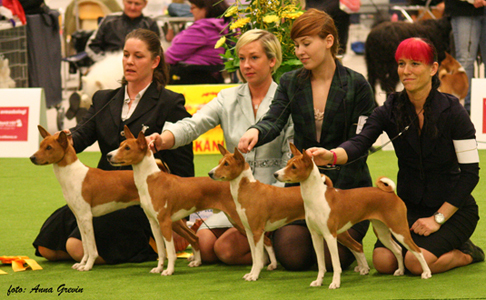 Fall 2011 Kenjaali showed its first breeders group and the outcome was fantastic! 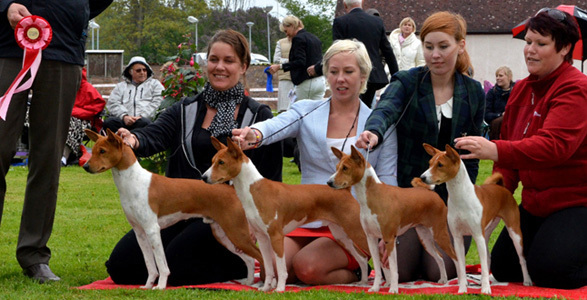 Best In Show-1 Breeders Group at the very first try! so big THANKS so everyone who helped out in the main ring! Below is a presentation of several groups placements. All dogs bred and/or owned by Kenjaali has their own Highlight pages. 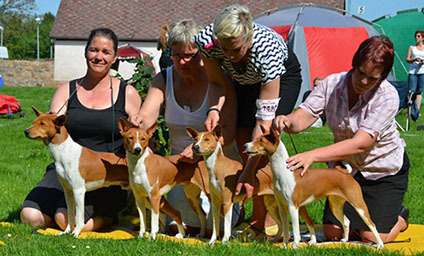 Take a look at each dog to reda about their success. 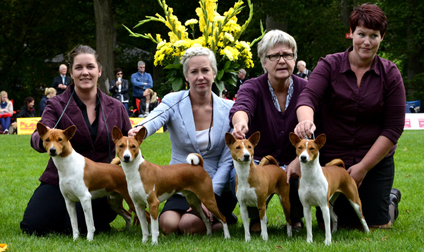 In beautiful Ronneby Kenjaalis breeders group placed as BIS-2. 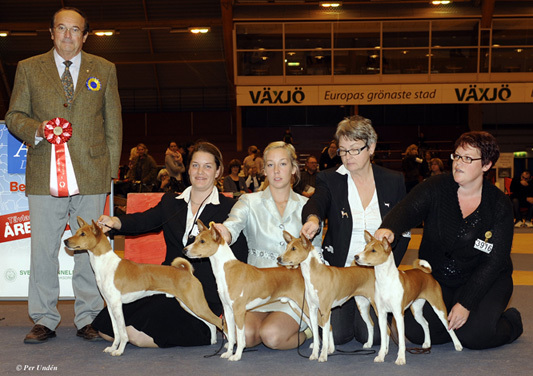 A great day with excellent results in both the breed- and final ring. 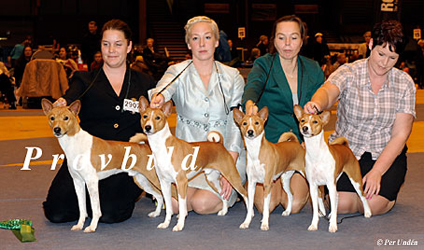 Once again a Kenjaali breeders group placed in the finals. BIS-3 in sunny Hässleholm. Växjö was the place where I showed my first group and in was a total success. This year we placed as BIS-4 and it felt like an equal success. 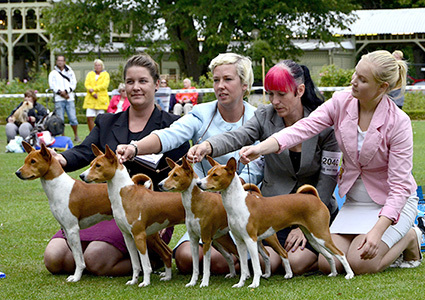 The breeding is now amongst Top-10 ALL breeds in Sweden! Yet another placement for a Kenjaali breeders group. This time BIS-3 at the beautiful showgrounds at Sofiero. For the third time we showed a group and for the third time we placed in the finals. This time at the very top - Best In Show!!! For the second time ever I showed a group and it placed as BIS-3 in Malmö. I have only bred 10 puppies during 8 years so the opportunity to get a group consisting of 4 dogs is not very easy. I'm so happy and proud! 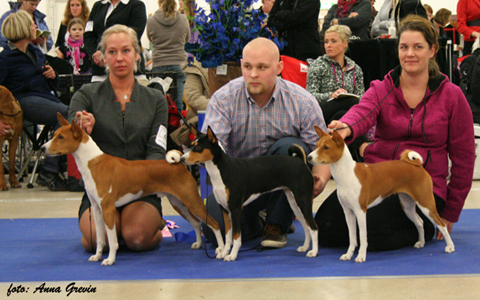 At the puppy show in Malmö we presented a sibling group consisting of Johnny, Candie and Leyah and they placed as BIS-2! For the very first time I got the opportunity to show a group. Breeding in small scale makes it harder, but when we got the chance we made it big time - Best In Show!! !